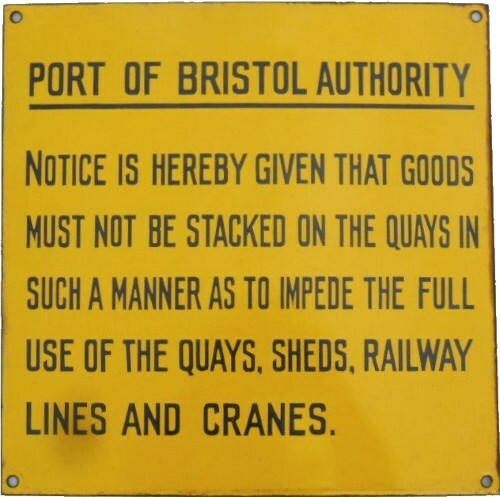 Lot 1 Enamel Notice "PORT OF BRISTOL AUTHORITY" - NOTICE IS HEREBY GIVEN THAT GOODS MUST NOT BE STACKED ON THE QUAYS IN SUCH A MANNER AS TO IMPEDE THE FULL USE OF THE QUAYS, SHED, RAILWAY LINES AND CRANES. Excellent condition. Size 12" x 12"